Yet another excellent article from the Tactical Professor. Thank you, Claude! 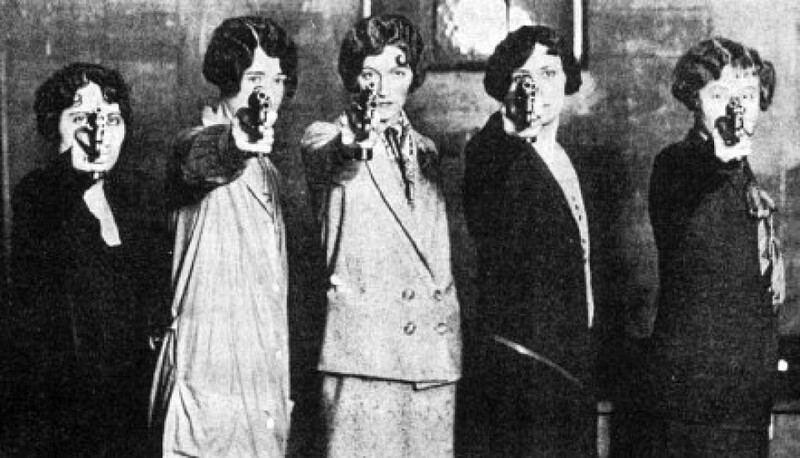 Attention, ladies: We male shooters haven’t always been a welcoming bunch, but we want women to get involved in shooting and hunting and we have the stats to prove it. For instance, did you know that nearly two in five new shooters are women, and most were introduced to firearms as adults? You see, we men take the responsibility of introducing you to firearms seriously. With a little care on our part, we know that if you try shooting, you’re probably going to like it and perhaps even develop a lifelong passion for the sport. 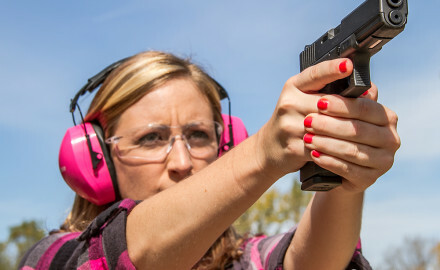 Given these acknowledgements, here’s why females are joining the shooting ranks at a record pace, plus 25 savvy tips for helping women feel at home on the range. The rise in female shooters among our ranks is largely a result of changing attitudes and perceptions. 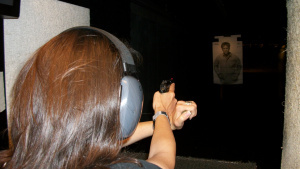 Shooting ranges and hunting cabins are generally no longer men’s refuges but places where women are also welcomed. Participation by female shooters has in turn skyrocketed, fueled by their interest in hunting, personal defense and plain old fun. According to the National Shooting Sports Foundation (NSSF), nearly half of the participants in itsFirst Shots program for beginner shooters are female, 76 percent of whom said they were motivated by an interest in self-defense. Thanks to programs such as First Shots as well as regular folks willing to introduce women to shooting, the female segment of the shooting community is expanding at a record pace. According to a report by the research firm Responsive Management titled “Analysis of Sport Shooting Participation in the U.S.,” 37 percent of new target shooters are female, whereas only 22 percent of established target shooters are female. That’s quite a jump, especially given the report’s finding that 20 percent of all target shooters began in the last five years. This new crop of shooters is also far younger, according to the NSSF, with an average age of 33 compared with established shooters’ average age of 43. Yet, says the NSSF, these aren’t necessarily folks who grew up in gun-owning households; 77 percent got started after their 18th birthday. Hunting participation rates among women indicate a similar trend. According to a2009 report by the National Sporting Goods Association, the number of female hunters grew from 3,041,000 in 2008 to 3,204,000 in 2009, a 5 percent increase. Now, more than 16 percent of hunters overall are female. Expensive startup costs.Many women don’t want to spend a few hundred bucks to try an activity they may not enjoy. Traditionputs social pressure on women to avoid shooting and choose activities that are perceived as more feminine. 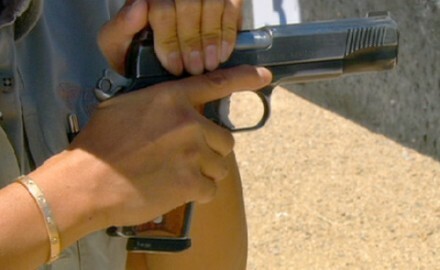 These, among other things, have without question prevented some women from joining the shooting sports. When a large portion of the media is shaming female hunters such as Melissa Bachman and Kendall Jones for legally hunting or painting gun owners, and even guns themselves, as evil, it doesn’t exactly encourage more female involvement in hunting or shooting. The high financial cost of shooting and the traditional societal pressures on women certainly don’t help either. Many men (and women) are highly accommodating of women interested in giving shooting a try, but all too many exhibit the same reckless machismo as my friend’s father. A YouTube search for “girl gun recoil” turns up countless examples of unsafe, unproductive acts of stupidity. Others have good intentions of introducing women to shooting but lack the knowledge to go about it properly. The National Shooting Sports Foundation (NSSF)recently released a comprehensive report on women and firearms. The report, “Women Gun Owners: Purchasing, Perceptions and Participation,” represents a survey of more than 1,000 women, which explores nearly every aspect of gun ownership. G&A Staff will analyze the report, which was released on January 21, 2015, in a forthcoming series to examine several topics surrounding women and gun ownership. Fifty percent of the respondents, some 500 women gun owners, reside in the southern part of the United States. The swath of big cities, sprawling suburbs, and small towns from Texas and Oklahoma, east across Kentucky and Virginia, and all points south are home to as many gun owning women as the rest of the nation combined. 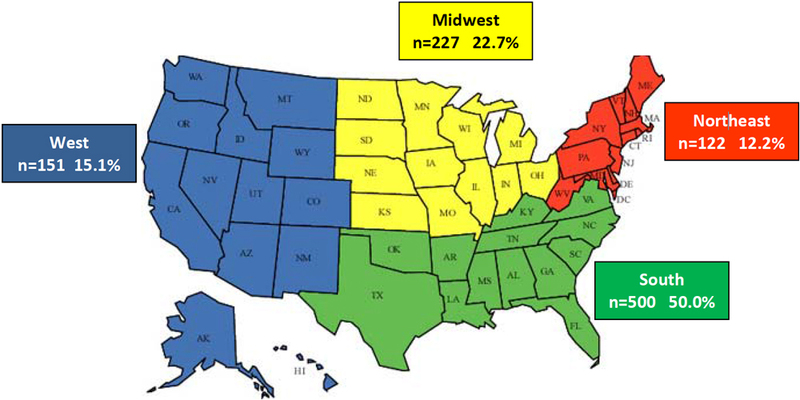 Nationwide, 42.8 percent of women gun owners live in rural areas, while suburban women comprise 39.1 percent. 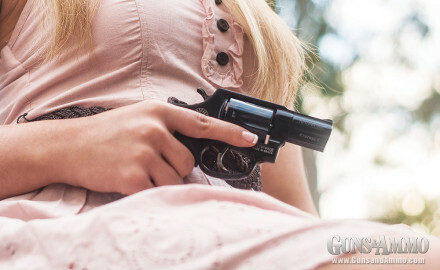 Women in urban areas comprise only 18 percent of the gun owning population, which may be related to the strict gun laws and overall cultural forces of this country’s urban centers. Adult women of all age groups own firearms, but over half of the women gun owners surveyed were between the ages of 25 and 44 years old. Though we hear a great deal about the number of women who have recently acquired their first firearm, the bulk of those surveyed, 42.1 percent, have owned a gun for at least 10 years. Nearly a third of the women surveyed, though, are part of the female gun surge of the past few years, that’s over 32 percent of respondents who bought their first gun since 2010. Of those new gun owners, the majorities are between the ages of 18 and 34 so there is evidence of an emergent female gun culture among young women in the U.S. Though 65 percent of women gun owners reported a spouse or significant other as a fellow gun owner, nearly 30 percent were the only gun owners in their households. Though stereotypes suggest that women gun owners are likely to own but a single firearm, the data suggests otherwise. In fact, 42 percent of the women surveyed own three or more guns with 6.5 percent reportedly owning 10 or more firearms. 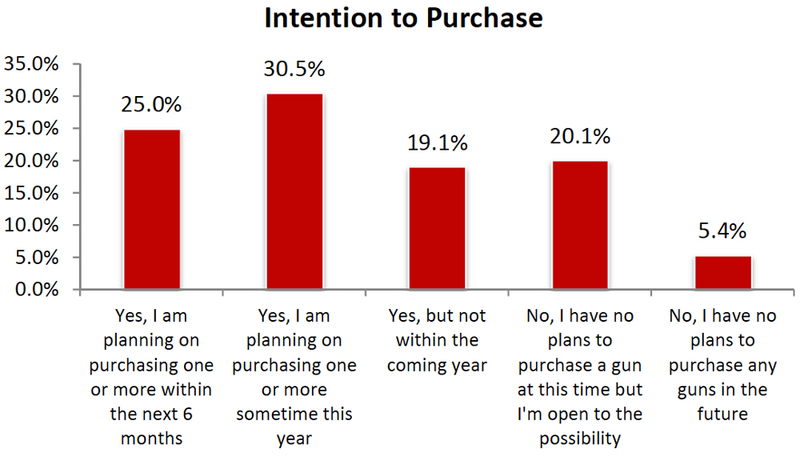 Just over 30 percent of the respondents did report ownership of a single firearm, but 55 percent of the overall group surveyed plan to purchase another firearm during the next year so that single gun may very well become part of a small collection. So are all of these guns going into the sock drawer until a bad guy breaks down the door? Apparently not. 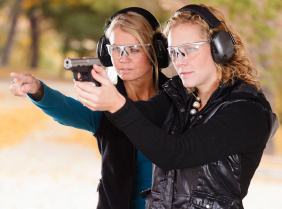 More than 800 of the women surveyed used their guns in the previous year and nearly 60 percent intend to maintain that level of shooting activity in the next 12 months. Interestingly, 38 percent of the women intend to shoot even more next year, compared to only 3.5 percent who plan to shoot less. Based on the data, it appears that many long-held stereotypes regarding women and gun ownership are wrong. 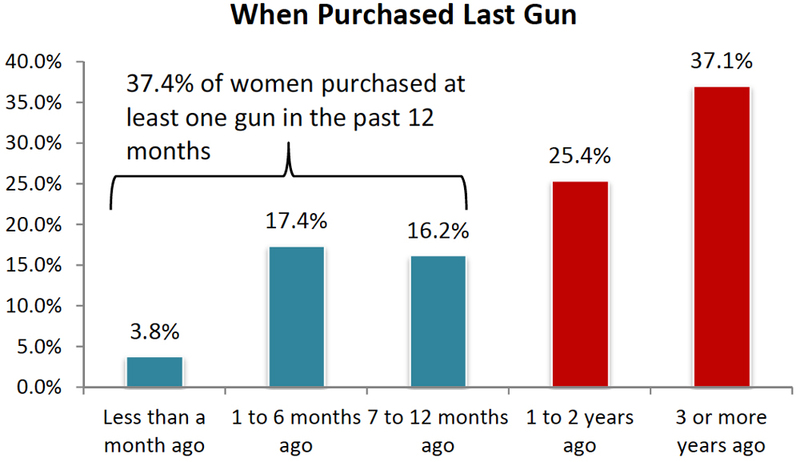 More women are buying guns, many are buying more than one, and it appears as if they are shooting them with some regularity.